A new report on the global automotive refinish coatings market has found that the sector is highly consolidated, with five companies holding an enormous 65% market share in recent years. Transparency Market Research found that two major companies in the market - Axalta Coatings Systems, LLC and PPG Industries - hold a whopping 40% share in the global market. Th report also finds that with stringent rules and regulation pertaining to VOC emissions, particularly in Europe and North America, the consumption of solvent-based coatings has seen a massive reduction. The global automotive refinish coatings market is currently segregated into clear coat, primer, base coat, filler, activator, and others. Of these, base coat holds the top position in market and is also expected to hold a 31% share of the global market by the end of the assessed period. On the other hand, the activators segment is predicted to display a stellar growth during the same period, which will ensue in a minimal rise in its share by 2024, with North America anticipated to hold the dominating position in the market. The ongoing trend has forced many manufactures to concentrate more on development of effective water-borne varieties of automotive refinish coatings say TMR analysts, a trend that is likely to have a significant impact on the market's dynamics in future. It is expected that the global automotive refinish coatings market likely to display a robust 5.7% of CAGR during the forecast period 2016-2024. The market, which was valued at US$6.6 billion in 2015, is likely to touch US$10.8 billion by the end of the assessed period. According to the researchers, developing countries all across the world are likely to witness a surge in their automotive market over the years. Countries such as China, South Africa, India, and Brazil are expected to remain at the forefront of this surge, due to rising populations and increases in disposable income. The rise in automotive industries in these developing countries are likely to, in turn, act as catalysts in the growth of the automotive refinish coating market. 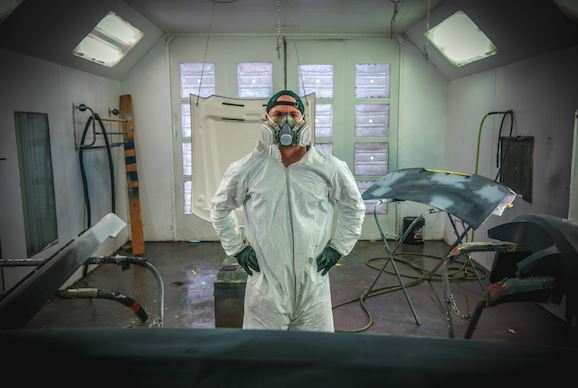 Another finding of the report is the numerous strict rules and regulations regarding emissions and how these have been levied for slacking usage of certain elements and chemicals in automotive refinish coatings. This has seen dwindling the sales of solvent-based products, including higher levels of OCs in comparison to water-based products. Several efforts executed by governmental and environment sustenance bodies are likely to increase the knowledge among consumers, and this has seen a steep decline of sales in the solvent-based coatings in recent years.